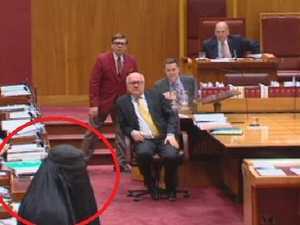 George Brandis made no attempt to hide his displeasure as Pauline Hanson's wears burqa in the senate. Letters to the Editor CORY Bernardi’s push for a burqa ban in public, and for government to force its views on Australian Muslim women, is a stark contradiction to human rights. 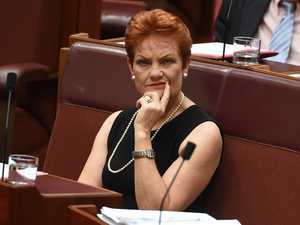 News ONE Nation Senator Pauline Hanson has delivered a speech calling for a burqa ban and accusing Labor of “pandering to the Muslim vote”. News ATTORNEY-GENERAL George Brandis launched a withering and emotional condemnation of Pauline Hanson’s decision to wear a burqua to Question Time.